Nathan King was confirmed by the New Boston Village Council as a New Boston Police Officer. The New Boston Fire and Police departments work well together, as Captain Robert Deerfield of the Police Department caught the person who allegedly set fire, running from that fire, while the fire department was trying to extinguish the fire. This, and the hiring of a new police officer was discussed at the regular New Boston Village Council Meeting on Tuesday evening. Before the opening of the regular meeting of the New Boston Village Council, Mayor Junior Williams held a public hearing on an ordinance amending ordinance number 13-94. (Empire Community Reinvestment Area). No one from the public wanted to speak, so the public hearing was then closed. Following the public hearing, the regular villiage council meeting was opened. The minutes of the last meeting was read by Councilman Jon Mills, as the village clerk was absent and in the hospital. Williams passed out a paper from the Ohio Municipal League for the council to read and said it was on Governor Mike DeWine’s proposed gas tax. The mayor told council to read it and then if they wanted to make a resolution about it, they could at the next meeting. 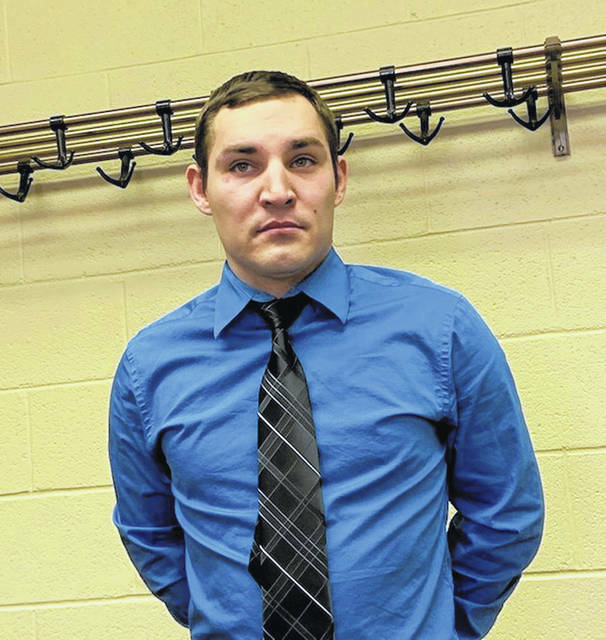 A recommendation was given to the village council to hire Nathan King to the position of Police Officer Deputy Marshal for the New Boston Police Department. King has all requirements, graduating from Southern Ohio Police Academy in 2017. King currently works for the Village of Piketon Police Department as a school resource officer. King lives in Scioto County and grew up in Wheelersburg attending East Community Schools. Williams mentioned to council that they had lost two officers recently, and recommended King to be hired. John Whisman made a motion to do so and Ryan Ottney seconded it and the council proceeded to vote him in with the four members of council in attendance, Council members Fetty and Raike were absent for this meeting. There was a motion made by Mills and seconded by Councilman Ralph Imes to make a resolution congratulating the New Boston High School Boys’ Basketball Team. There was also a motion for resolution to congratulate Allison Friend for winning the Scioto County Spelling Bee. Village Administrator Steve Hamilton read his report and said they are now in Phase 7 of the construction project he says is primarily on West Avenue and Gallia Street. Police Chief Steve Goins thanked the village council for voting King as an officer. He told of the Safety Pup assembly they held at the New Boston Schools saying it was a success. Fire Chief Chris Davis spoke on a substantial fire in the 3600 block of Gallia in a two-story house. He wanted to recognize his guys and the help they received from the Portsmouth Fire Department. He also wanted to recognize Police Captain Deerfield, who caught the guy who had allegedly started the fire, because it was arson. The Finance and Wages Committee Meeting notes were read by Mills and had listed some of the possible upcoming expenditures. Mills also mentioned the committee discussed raises for the elected officials of 10% and gave the council and mayor an attached sheet explaining the proposed raises. A 2nd reading was made on the District 11 Challenger League collecting money. Motion made by Whisman and seconded by Ottney. A passage was made on second reading. An ordinance for a permit for the Scioto County Shrine Club was given as a first reading, motion made by Whisman and a second by Imes and it was passed for first reading. Ottney discussed and then made a motion to have the elected officials’ positions receive a raise, seconded by Whisman and then voted upon by council and passing. Following this vote, Mills made a motion to adjourn the village council meeting and council agreed.